Distinguished American painter (1849–1916) best known for his society portraits rendered in his distinctive impressionist style. Uncommon ALS signed “W. 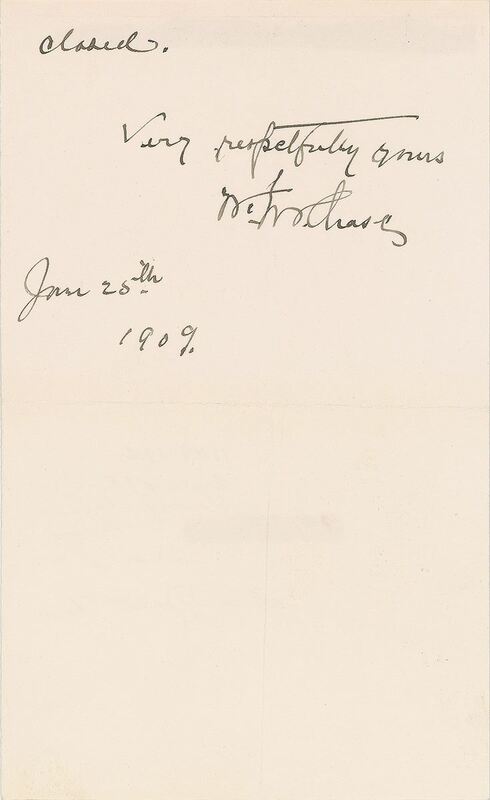 M. Chase,” two pages, 4.75 x 8, personal monogrammed letterhead, January 28, 1909. 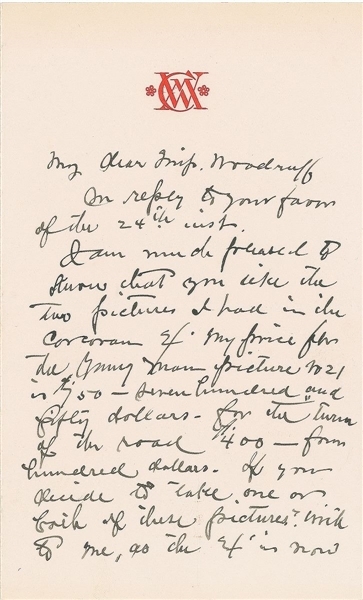 Letter to Fritz Woodruff, in part: “I am much pleased to know that you like the two pictures I had in the Corcoran Ex. 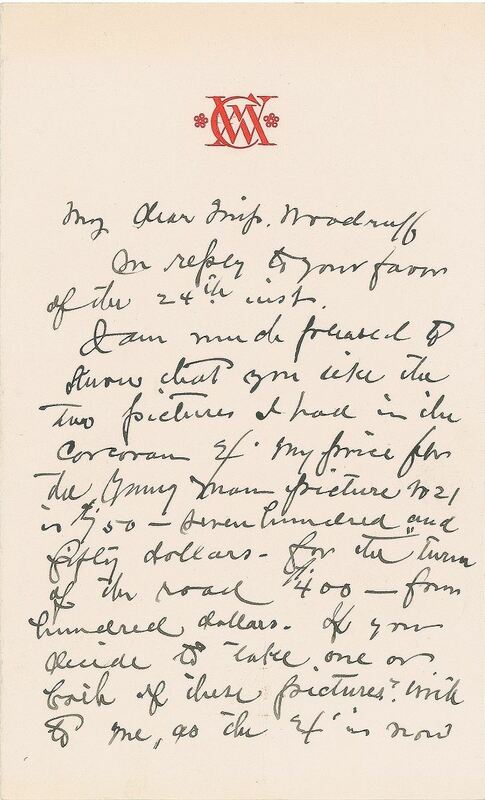 My price for the the young man picture…is 750—seven hundred and fifty dollars—for the ‘Turn of the road’ 400—four hundred dollars. If you decide to take one or both of these pictures? write to me, as the Ex. is now closed.” In fine condition.